Fast recovery with beautiful results. Lose those tired looking, droopy eyes. 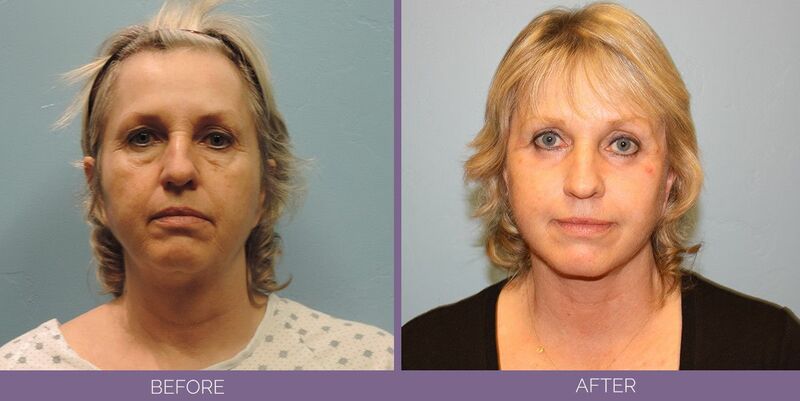 Eyelid surgery (technically called blepharoplasty) is a procedure to remove fat–usually along with excess skin and muscle–from the upper and lower eyelids. Eyelid surgery can correct drooping upper lids and puffy bags below your eyes – features that make you look older and more tired than you feel, and may even interfere with your vision. However, it won’t remove crow’s feet or other wrinkles, eliminate dark circles under your eyes, or lift sagging eyebrows. Blepharoplasty can be done alone, or in conjunction with other facial surgery procedures such as a facelift or brow lift. A few medical conditions make blepharoplasty riskier. They include thyroid problems such as hypothyroidism and Graves’ disease, dry eye or lack of sufficient tears, high blood pressure or other circulatory disorders, cardiovascular disease, and diabetes. A detached retina or glaucoma is also a reason for caution; check with your ophthalmologist before you have surgery. Before Surgery: What do I need to know? The initial consultation with your surgeon or his personal and thoroughly trained Surgery Consultant is very important. They will need your complete medical history, so check your own records ahead of time and be ready to provide this information. You will also berequired to have a recent eye exam and have the results sent to our office prior to the surgery. You and your surgeon should carefully discuss your goals and expectations for this surgery. You’ll need to discuss whether to do all four eyelids or just the upper or lower ones, whether skin as well as fat will be removed, and whether any additional procedures are appropriate. 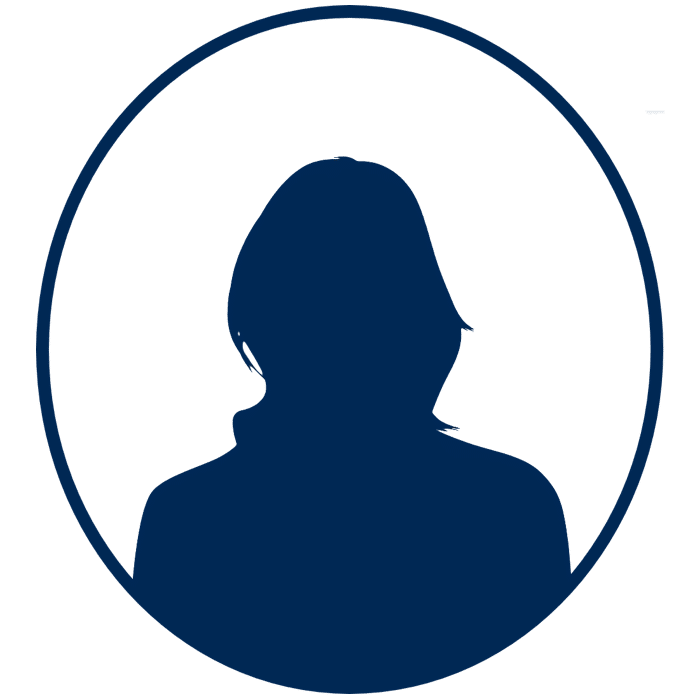 Don’t hesitate to ask us any questions you may have, especially those regarding your expectations and concerns about the results. You will be given specific instructions on how to prepare for surgery, including guidelines on eating and drinking, smoking, and taking or avoiding certain vitamins and medications. Carefully following these instructions will help your surgery go more smoothly. While you’re making preparations, be sure to arrange for someone to drive you home afteryour surgery, and to help you out for a few days if needed. During Surgery: What is the procedure like? 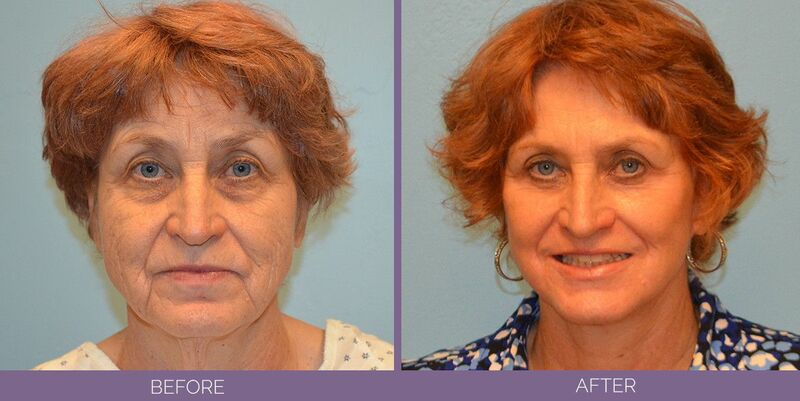 Blepharoplasty usually takes less than one hour depending on the extent of the surgery. 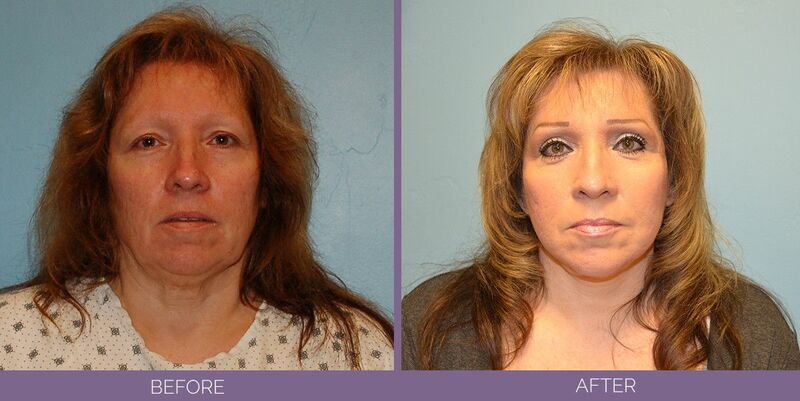 Eyelid surgery will be performed at our surgery center. It’s usually done on an outpatient basis; rarely does it require an inpatient stay. Eyelid surgery is usually performed under local anesthesia, which numbs the area around your eyes, along with general or intravenous sedatives. In a typical procedure, the surgeon makes incisions following the natural lines of your eyelids; in the creases of your upper lids, and just below the lashes in the lower lids. The incisions may extend into the crow’s feet or laugh lines at the outer corners of your eyes. Working through these incisions, the surgeon separates the skin from underlying fatty tissue and muscle, removes excess fat, and often trims sagging skin and muscle. The incisions are then closed with very fine sutures. If you have a pocket of fat beneath your lower eyelids but don’t need to have any skin removed, your surgeon may perform a transconjunctival blepharoplasty. In this procedure the incision is made inside your lower eyelid, leaving no visible scar. It is usually performed on younger patients with thicker, more elastic skin. After Surgery: What is the Breast Lift Recovery process? You will need you to keep your head elevated for several days and to use cold compresses to reduce swelling and bruising. (Bruising varies from person to person: it reaches its peak during the first week, and generally lasts anywhere from two weeks to a month.) You’ll be shown how to clean your eyes, which may be gummy for a week or so. We may recommend eye drops since your eyelids may feel dry at first and your eyes may burn or itch. For the first few weeks, you may also experience excessive tearing, sensitivity to light, and temporary changes in your eyesight, such as blurring or double vision. Your cosmetic surgeon will follow your progress very closely for the first week or two. The stitches will be removed four days to a week after surgery. Once they’re out, the swelling and discoloration around your eyes will gradually subside, and you’ll start to look and feel much better. You should be able to read or watch television after two or three days. However, you won’t be able to wear contact lenses for about four weeks, and even then they may feel uncomfortable for a while. Most people feel ready to go out in public (and back to work) in a week to ten days. By then, depending on your rate of healing and your surgeon’s instructions, you’ll probably be able to wear makeup to hide the bruising that remains. You may be sensitive to sunlight, wind, and other irritants for several weeks, so you should wear sunglasses and a special sunblock made for eyelids when you go out. You will need to keep your activities to a minimum for three to five days and to avoid more strenuous activities for about three weeks. It’s especially important to avoid activities that raise your blood pressure, including bending, lifting, and rigorous sports. You may also be told to avoid alcohol and salt since it causes fluid retention. Complications are infrequent and usually minor. Nevertheless, there is always a possibility of complications, including infection or a reaction to the anesthesia. You can reduce your risks by closely following the instructions we give you both before and after surgery. The minor complications that occasionally follow blepharoplasty include double or blurred vision for a few days; temporary swelling at the corner of the eyelids; and a slight asymmetry in healing or scarring. Tiny whiteheads may appear after your stitches are taken out; they can remove them easily with a very fine needle. Following surgery, some patients may have difficulty closing their eyes when they sleep; in rare cases, this condition may be permanent. Another very rare complication is ectropion, a pulling down of the lower lids. In this case, further surgery may be required.